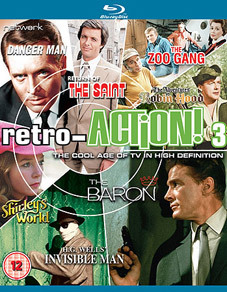 In a high-definition sampling of cult television from years past, Network have announced the upcoming release of three Blu-ray discs entitled retro-ACTION!, each containing single episodes from a number of iconic programmes from the ITC library. The programmes contained on these discs have rarely, if ever, been seen at their full technical potential and certainly not on the medium they were originally designed for. It is the legacy of both producers and contributors who aspired to high production values but only now can their work be fully appreciated. These new high definition transfers and restorations from the original 35mm elements herald a new era for these iconic shows for both loyal fans and new audiences. Randall and Hopkirk (Deceased): When Did You Start To Stop Seeing Things? 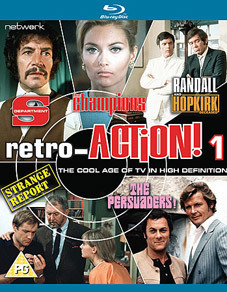 Starring Stuart Damon, Alexandra Bastedo and William Gaunt with special guest star Peter Wyngarde, James Culliford and Aubrey Morris. Man In A Suitcase: Somebody Loses... Somebody Wins? All three retro-ACTION! 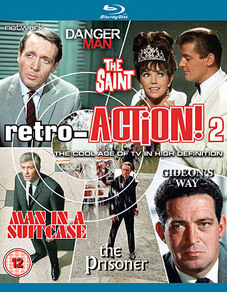 titles will be released on Blu-ray only, exclusively from Network DVD (visit their web site at www.networkdvd.net) on 28th February 2011 at the RRP of £19.99 each.